A fun way to cruise around town is in the back of a pedicab, a bicycle-drawn carriage, for a stellar view of Waikiki, day or night. Check out HONOLULU PEDICABS at hnlpedicabs. com for details. photos and hidden spots. With a 25-mile range, Aloha Trikke is, at the time of this writing, the sole authorized dealer of Trikke products in Hawai‘i. Choose from fully electric Trikkes to body-powered fitness and kids Trikkes. Or cruise the streets on a Segway. These environmentally friendly modes of transport allow passengers to sightsee in style at their own pace. 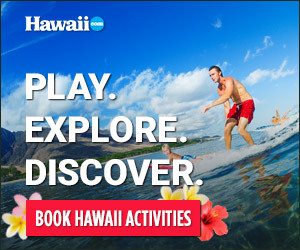 SEGWAY OF HAWAII, the island’s official authorized dealer, offers a variety of tour options that explore Waikiki and Honolulu.